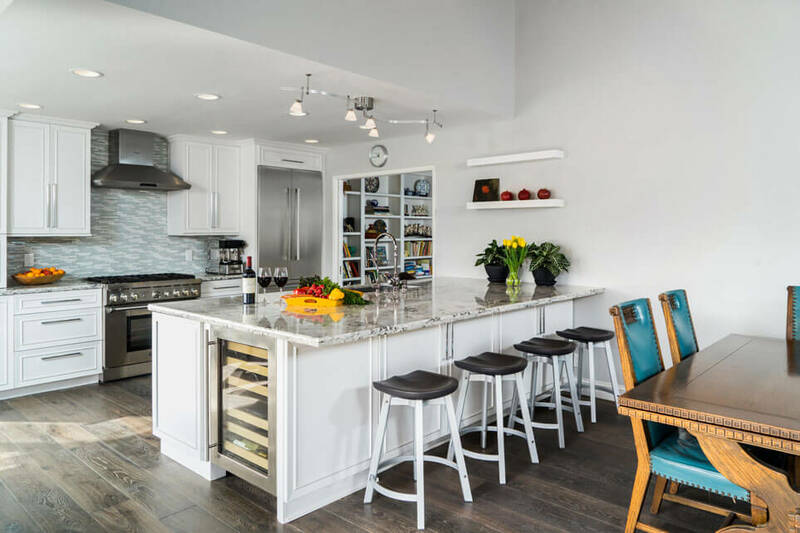 In efforts to create a large room for entertaining while taking advantage of this home’s great view, we removed a wall in between the living room and kitchen. The design included bi-folding doors to open the back of the house up to create a wonderful indoor/outdoor space for friends and family to gather. 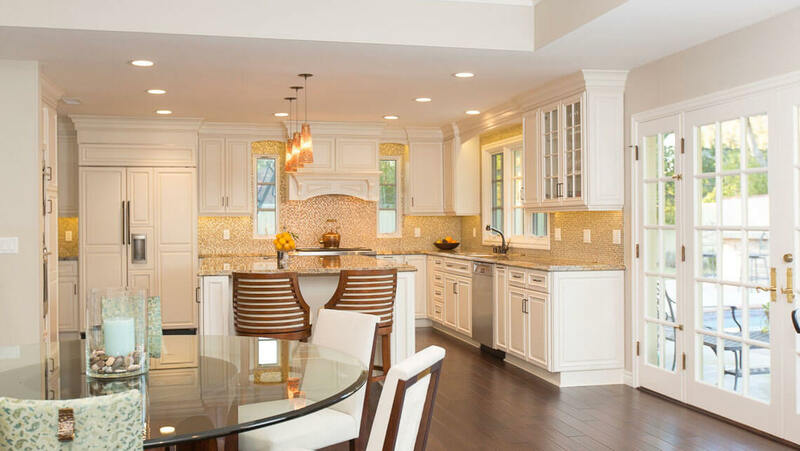 This elegant, white kitchen remodel created an open concept throughout the entire back of the home. 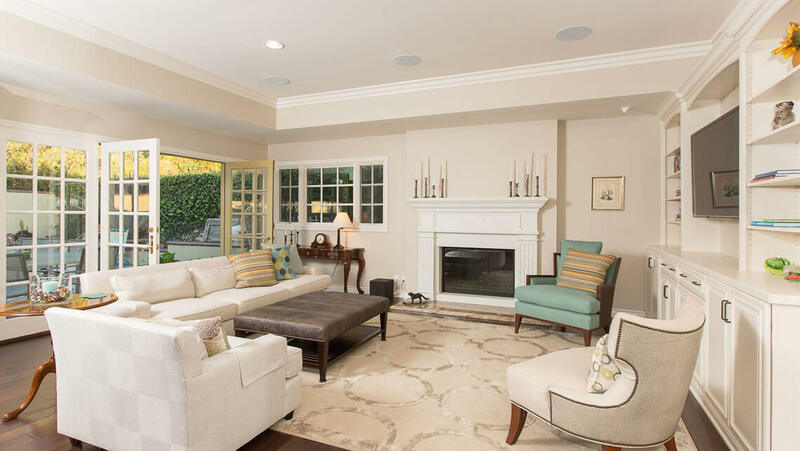 Previously three separate rooms, we removed the wall between the kitchen and dining room, and the wall between the dining room and family room to create a space that opened out onto backyard through multiple french doors. Adding windows on either side of the range added additional light and broke up the cabinetry to create a beautiful and inviting kitchen.